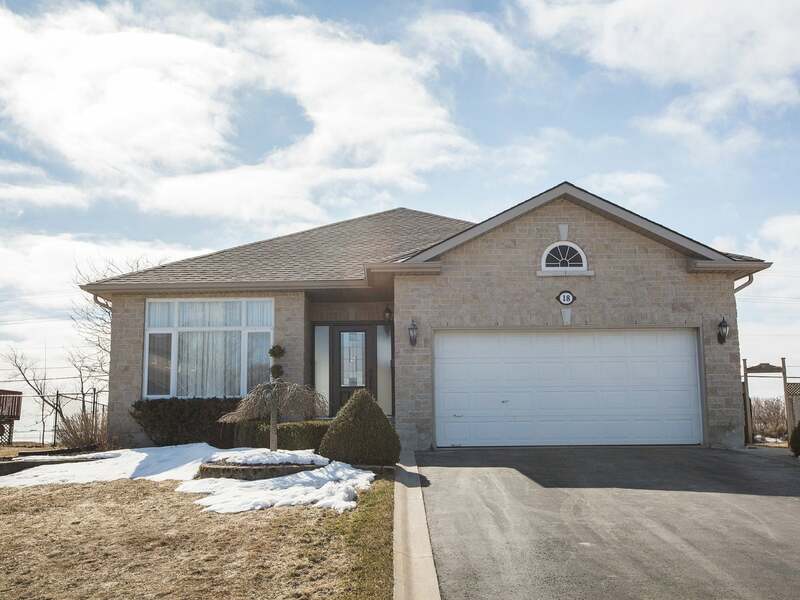 Incredible Lake Ontario water views from this 3 bedroom, 2 bath bungalow! Set on a quiet cul-de-sac on an oversized 54ft x 195ft lot. This meticulously maintained 1,446 sq/ft home is sure to impress with sunken tile foyer, spacious living and dining room and beautiful bright kitchen with ample counter space overlooking the breakfast nook and patio doors to fully fenced rear yard with huge rear deck w/gas BBQ hook-up, stone patio and stunning water views. 3 spacious bedrooms, 4-piece main bath and oversized master with walk-in closet and 4-piece ensuite bathroom. Lower level offers incredible space including finished den/office with closet plus large unfinished area for future rec room and 3-piece bathroom rough-in. All this plus central air, HRV, central vac, 2 car garage with inside entry and side door w/walkway to rear yard, stunning landscaping front and back, parking for 6+ cars and much more. Brand new roof shingles in 2016. This home shows pride of ownership inside and out, you won’t be disappointed, call to arrange a private viewing. Lot Size 54ft x 195ft Sq. Ft.